No Seriously -- We mean Everybody! 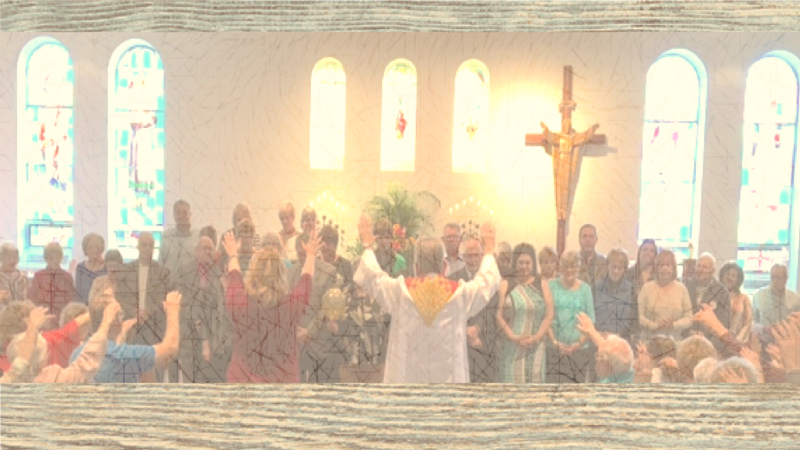 We just suggest you join us for Liturgy a few times to see if we are the right fit for you. consider becoming a member of the St. Louis Family. It is an easy and relatively painless process (unless Larry is in the office and decides to unleash his jokes). -- Welcome to the Family! Can't make it in during regular office hours fill out the form below. If you are interested in joining the St. Louis Family but can't make it into the office during our business hours, please fill out the form below. Our Parish Office staff will give you a call and help you with this easy and painless process. Why is it so important that we register in a parish? Isn't it good enough that we go to Church? Registration is the official way we join a parish community. Many people think that because they attend a particular parish they automatically belong. At times young adults who have moved away for years think they are still signed up under their parents. But membership requires signing up, formally enrolling yourself in a parish. Registration is a commitment to a community, a way to be included in the religious, social and ministerial activities of your parish. Your registration affects the parish in many ways. Census numbers can determine how many priests are assigned to a church, what benefits and obligations the community has to the diocese etc. Registration shows you belong. It is also necessary for certain benefits, like scheduling sacraments, obtaining sponsor certificates, and getting donation statements for taxes. Most importantly, it lets the parish count on you, to call on you to assist in its mission. Registering in your parish is a statement of faith and confidence in the life and work of your parish.